Hey Hey!! 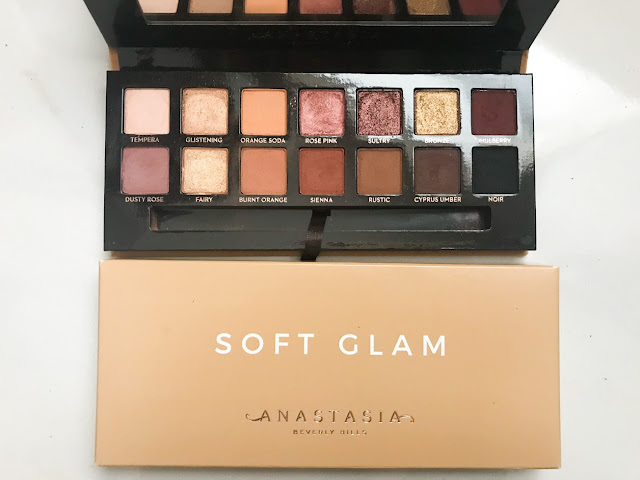 So if you follow any makeup pages or bloggers online I'm sure you've heard all about Anastasia Beverly Hills' (ABH) newest palette to come out - Soft Glam. I own three of her other palettes - Subculture, Modern Renaissance, and Prism (read my review of PRISM HERE), so I wasn't convinced I needed this palette in my life. I saw all the photos online and still wasn't sold on needing it! When we were in Chicago, I saw it in Ulta and of course out of habit I swatched it - gorgeous!!! But I still walked out without it, I had told myself I didn't need it. Unfortunately, I kept thinking about it. Every time I would do my makeup, I'd think about how amazing the Soft Glam palette would look, lol!! Basically, I needed it! When we returned from Chicago, a few days later I went into Sephora and there it was- this time I took it home with me!! If you follow me on INSTAGRAM you saw I posted a photo the other day singing praises for this palette. I have been wearing it literally everyday since I bought it! 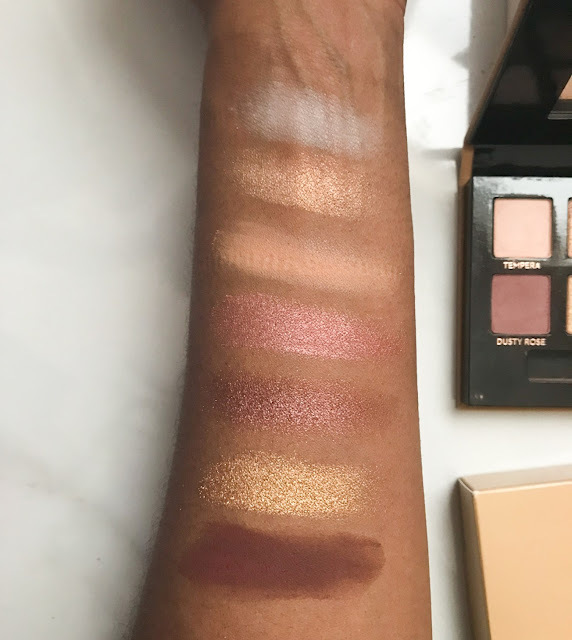 So naturally, I wanted to share with you all my thoughts in detail about it, some swatches, and I'm also sharing two of my go-to daytime looks with this palette. Packaging: The Soft Glam palette comes in the standard ABH palette packaging - soft velvet like outer case, 14 shades, mirror, and a dual ended brush. Because the packaging is a lighter color, mine is already somewhat dirty just from touching it with makeup fingers so I can see it looking pretty dingy in no time! But for me this is not a make or break factor. 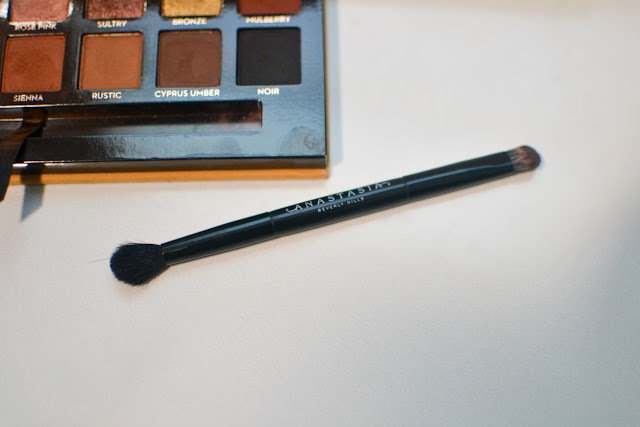 Cost: The palette is $42 which equals to $3 a shade or even less if you factor in the cost of the brush. This is around the standard price for most palettes. I'll touch on the brush before moving on to the shadows. 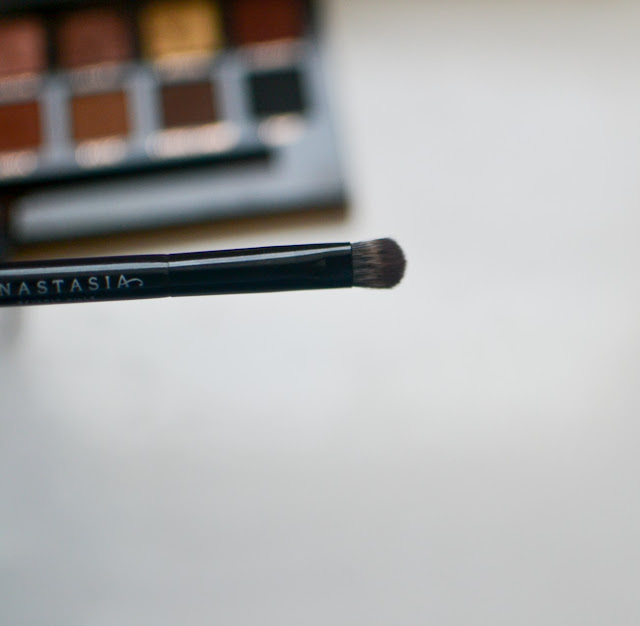 I actually like the brush that comes with the ABH palettes. I think the fluffy end is great for blending and the smaller, dense end is great for packing shadows onto the lid. The shadows -- originally I thought I had most of these shadows in the other palettes I own, BUT with the exception of 3, I don't. The shadows blend very well, however, there is minimal fallout. I do tend to do my eyes first if Im using this palette only because it's just easier to deal with the fallout that way for me. 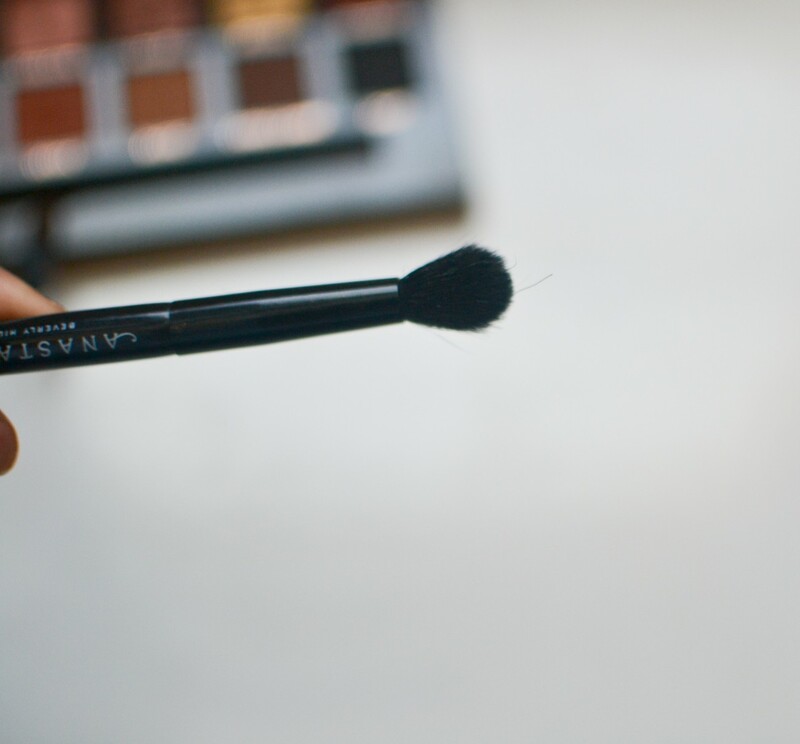 The shadows are great for everyday and create a multitude of beautiful looks. I haven't used it for a darker nighttime look yet but the addition of the black(noir) and the mulberry make it easy to take a daytime look to nighttime. I've worn this combination (below) so much since I've purchased this palette. It's such a soft daytime look, perfect for Spring. If you want to transition this look to nighttime or make it more dramatic you could blend a little Mulberry into the outer corner as well. This is also another favorite of mine! Super simple and easy to do in the mornings if you're in a hurry! You could also add Glistening to the inner corner or over the Orange Soda if you'd like more shimmer! 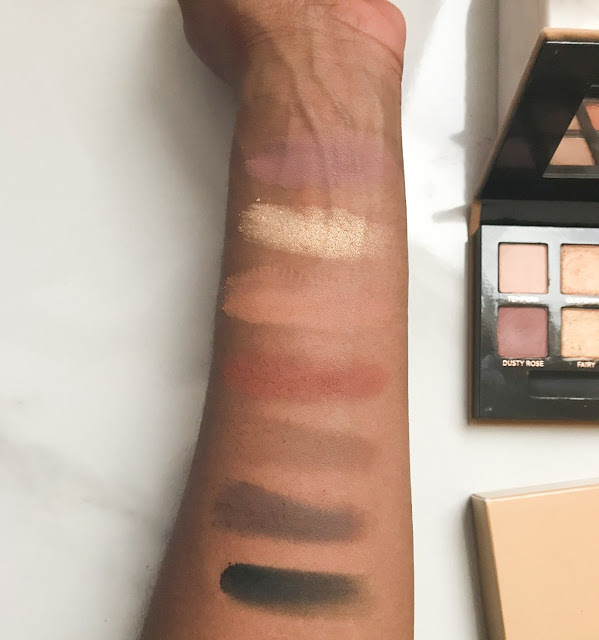 Final Thoughts: I think this is a great palette! I do not regret my purchase and am quite happy with it. This palette offers great shades perfect for spring and summer, and you're able to create so much with it - from natural everyday looks to a nighttime smoky eye. If you're debating this palette, I highly recommend to go into Sephora or Ultra and just swatch the shadows and play around with them. I love this palette and I am so glad I caved and bought it!! Great look! I love how the palette looks on your skin tone. I might definitely have to look into purchasing one! Thank you! You definitely should, it's beautiful! Thank you Isabella!! 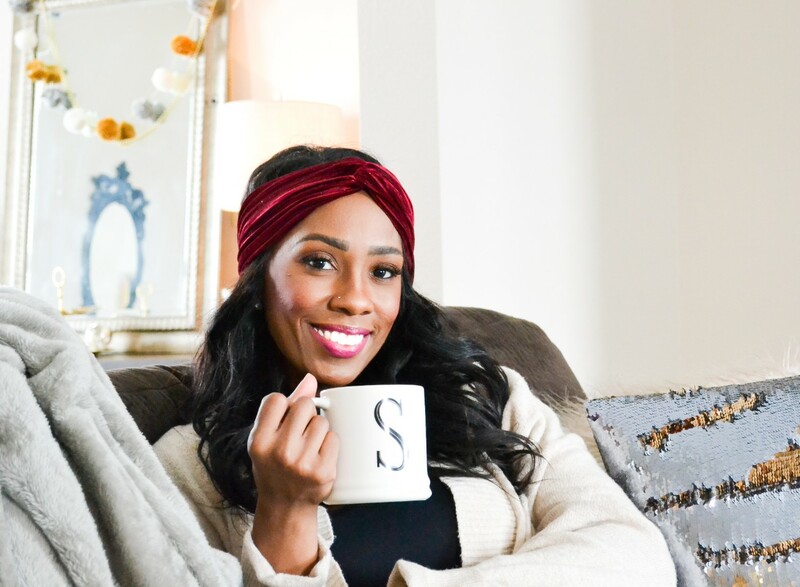 Make sure to subscribe so you don't miss a post! Love the post and am obsessed with this amazing ABH palette! Beautiful swatches too. Beautiful colors and what a put together look! I too put the colors on my arm to see what it looks like, LOL. Glad to know it's not an odd thing to do. Love your ideas!